The fantastic spring weather continued and it was already quite warm when i started on the path to Hole -in -the wall. Looking back down the path from the last steep bit near Hole-in-the wall. First view of striding edge and Helvellyn. On Striding edge now looking along the ridge. On the steep climb to Helvellyn summit. 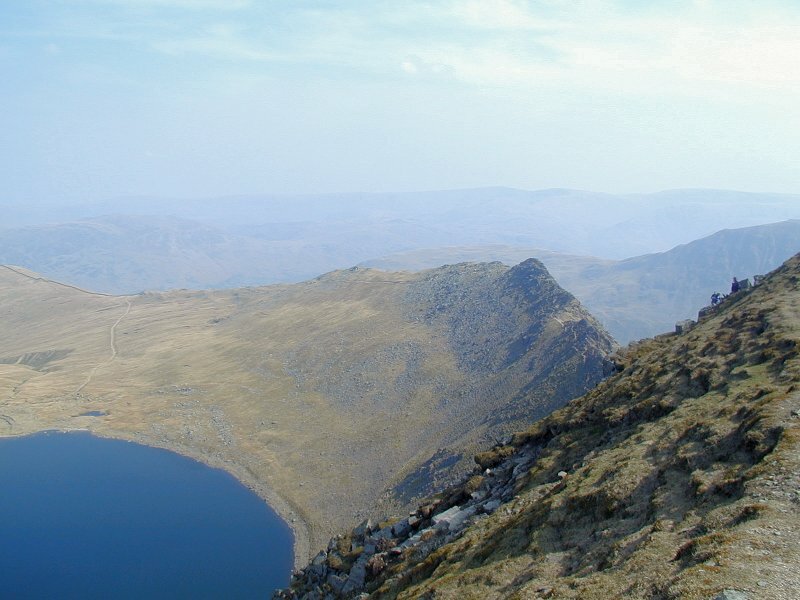 Red tarn and striding edge. Striding edge from the walk to Dollywagon pike. Looking down the valley from Dollywagon pike. Down at Grisedale tarn now. It hadn't rained for weeks but i still managed to go up to my knees in a bog. You can just make out my socks drying in the sun. Dropping down the valley now, but still a fair walk back to Patterdale.